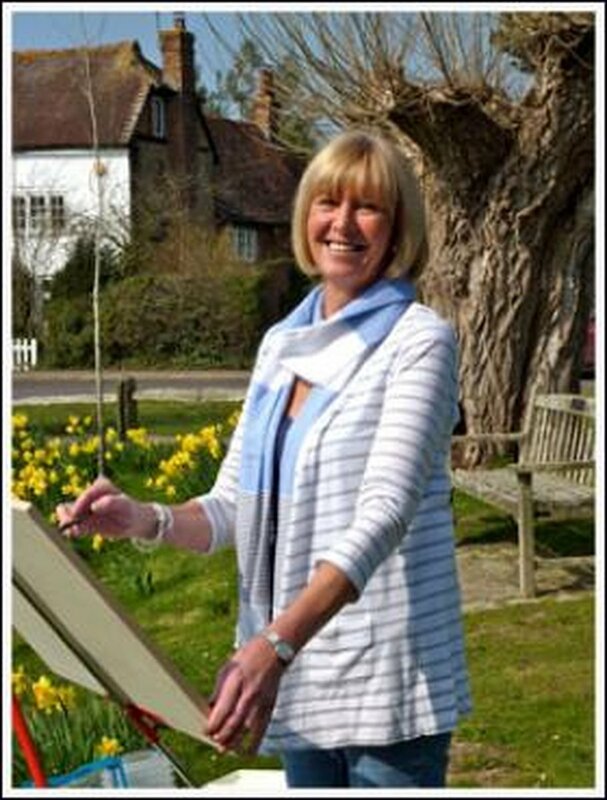 Patsy Moore is a renowned artist, living and working in West Sussex. Educated at Edinburgh University and Art College, she has always worked in art related subjects and has, for many years now, devoted her time to painting and teaching art. She works with watercolour, oil, pastel, pen and wash and pencil, but her preferred medium is watercolour; enjoying its translucent qualities and constant surprises. Favourite subjects include landscapes, town and city scenes and marine subjects, but pictures in her portfolio also include portraits, flowers and plants and animal portraits. Her work is to a large degree representational, but is more concerned with exploring light and tone than detail. Patsy has held numerous successful solo and shared exhibitions; exhibits regularly with the Association of Sussex Artists, of which she is a committee member, and on several occasions with the Royal Society of Marine Artists and the Royal Institute of Painters in Watercolour at the Mall Galleries in London. Teaching at present includes a weekly art class, one-to-one individual tuition, demonstrations and workshops with art societies, residential and non residential art holidays and art classes onboard cruise ships.